Just in time for Easter! 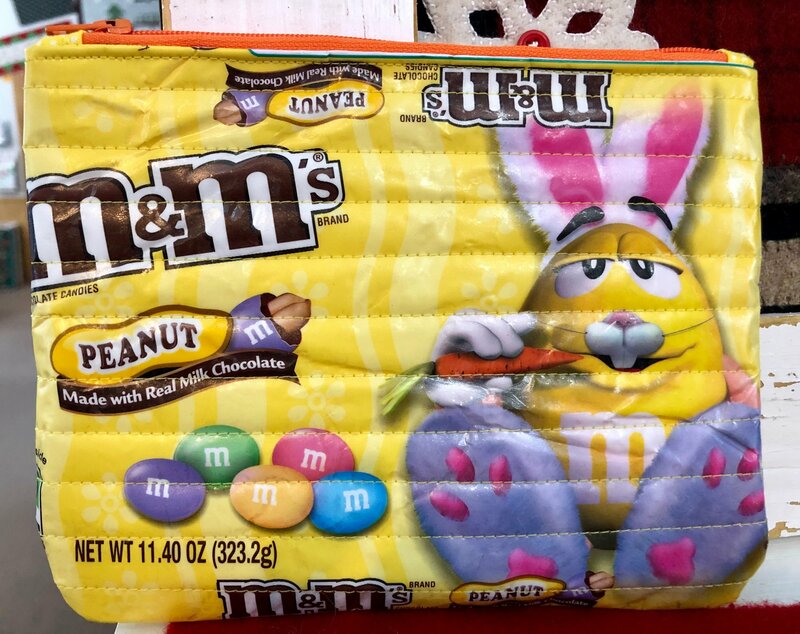 Hippity hop on in to make this sweet zipper pouch made out of--what else--candy bags! Supply list for a typical size candy bag: Candy bags--1 or 2 (do not open before class so bring along something to take your candy home) Coordinating thread--the thread will show on the outside of the pouch Coordinating Zipper--12 inch nylon (longer is fine as it will be trimmed, 14 inch is common) Coordinating Fabric--a fat quarter (18X20 inches) will work if you have a typical size candy bag Fusible fleece--18X20 inches Fusible vinyl--18X20 inches Along with these supplies bring your sewing machine, rotary cutter, ruler, pins & scissors.